The federal government has put the total number of direct beneficiaries under its National Social Investment Programme (NSI-P) as of January 9, 2018, at 6.802million. The government also stated that it is currency supporting 69.6 per cent of its targeted direct beneficiaries, further adding that the programme has also supported about 1.750 million secondary beneficiaries. 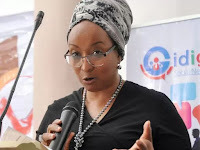 The Special Adviser to the President on NSI-P, Maryam Uwais, disclosed this during an interactive session with journalists in Lagos at the weekend. The NSI-P is a portfolio of programmes that were created in 2015 by the government to deliver socio-economic assistance to the poorest Nigerians. Today, over 622,649 identified poor and vulnerable households (PVHHs) so far, of which over 439,859of these have been enumerated (information captured into the National Social Register –NSR) in 5,538 communities, from 233 local government areas (LGAs) in 23 States. Under the Conditional Cash Transfer Programme, which aims to provide targeted transfers to poor and vulnerable households, with the ultimate objective of graduating them out of poverty, the Special Adviser disclosed that as of January this year, Caregivers in 297,973 eligible households (HHs), from 9,567 communities, 202 LGAs, 19 States and Borno (IDP camps),are currently benefiting from the programme. Also, under the school feeding programme, she said 6.045 million pupils are being fed daily in 20 states by 61,352 cooks in 33,981 primary schools. “We are set to commence feeding in six more states the first quarter,” she added. “Today, 259,451 loans have been successfully disbursed through the Government Enterprise and Empowerment Programme (GEEP) across 36 states and the federal capital territory, out of 478,388 eligible beneficiaries processed. “Today, 200,000 N-Power graduates have been successfully deployed and are being paid in all 36 States and the FCT. Volunteers have been engaged for N-Power Agro, N-Power Tax, N-Power Health and N-Power Teach sub-Categories. “Next round of 300, 000 graduate volunteers have been pre-selected. 10,000 N-Build artisans have been verified, supplied with tool boxes for 3 months training and assigned to 160 skill centres in 22 States. “After training is concluded, Artisans have the opportunity to become interns for 9 months before exiting. Eighty more centres in 15 states being audited to engage 10,000 more. 20,000N-Knowledge about to take off in hardware, creativity and software category trainings,” she explained. According to Uwais, with Nigeria’s population currently growing to overtake the United States to become the third most populous country in the world by 2050, the issue of poverty continues to remain a significant threat to development. Based on the World Poverty Clock statistics (by the World Data Lab), Nigeria needs to ensure that 11.9 people are graduated out of poverty per minute, to escape extreme poverty. Today, Nigeria has a deficit of 6.8 people every minute. This means every minute 6.8 Nigerians enter the poverty bracket. “If action is not taken today, we can expect that the poverty rate will continue to increase, with Nigeria, consequently failing to meet Sustainable Development Goals (SDG) targets; Human Development Index (HDI) will decrease, meaning that inequalities would significantly increase, with implications such as increased poverty, crime and conflict; among others. Uwais stressed that achieving macroeconomic stability was a key execution priority for the Nigerian government as identified in the Economic Recovery and Growth Plan (ERGP).